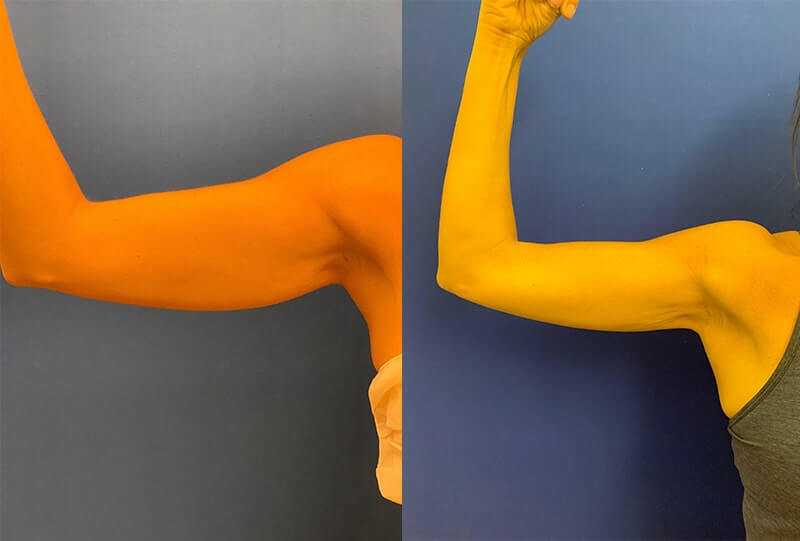 Sculpted beautiful arms are something we all seek. 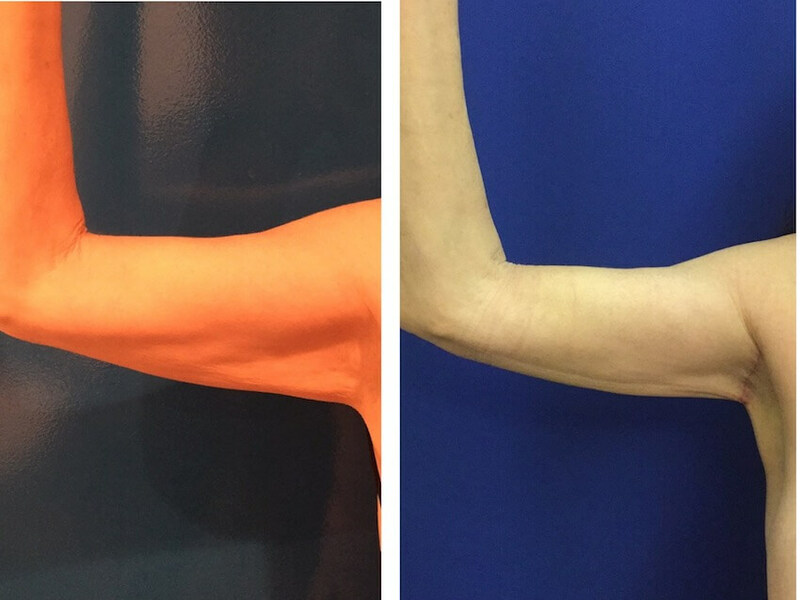 Dr. Neinstein’s arm liposuction and mini arm lift technique has evolved with patient needs over the years. 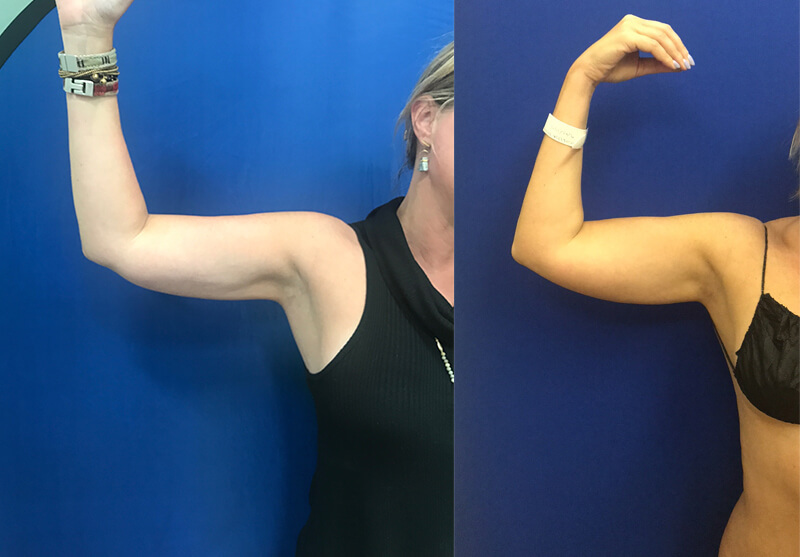 We have moved past simple fat reduction with the goal now being to sculpt feminine and athletic arms. 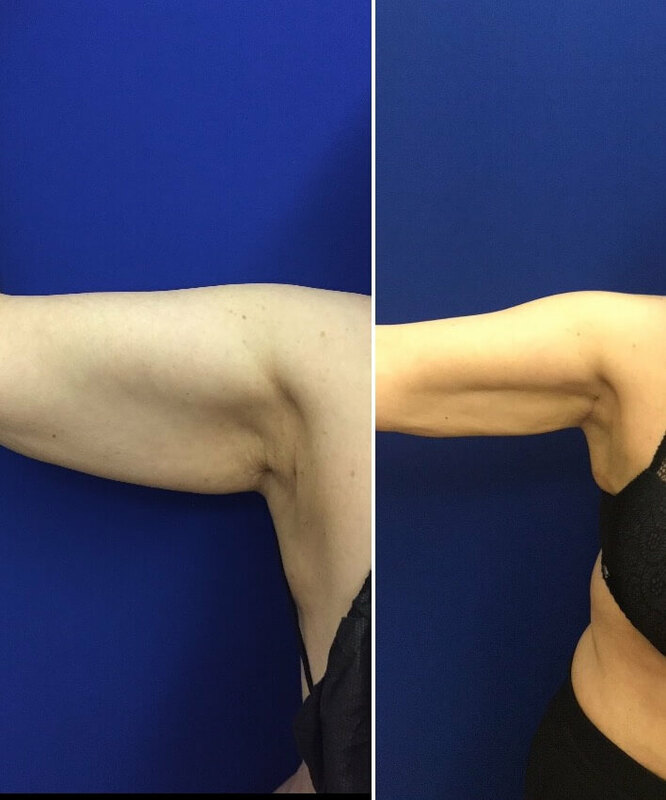 This approach involves more sculpting around the shoulder and tricep muscles along with more skin tightening using plasma technology. 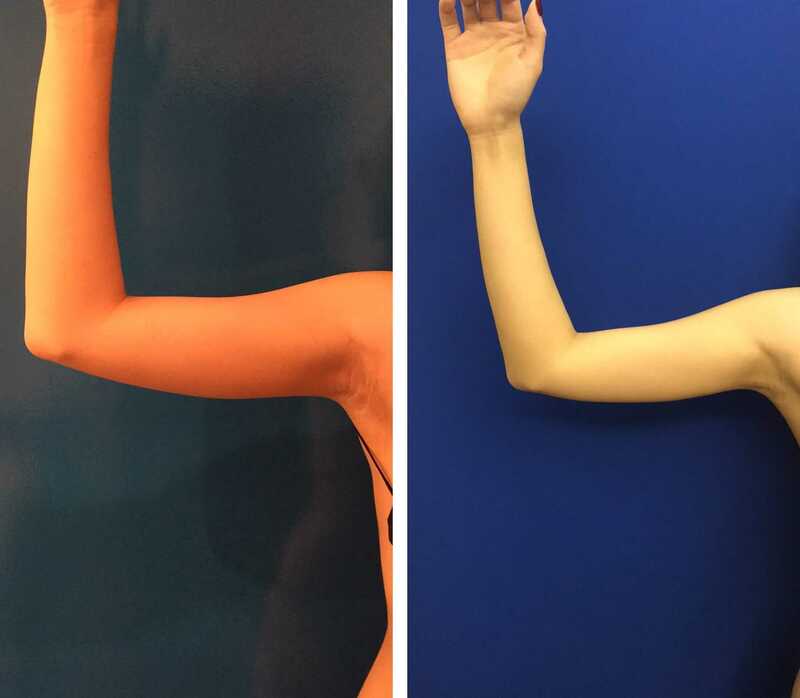 An aesthetic arm should have some athletic refinement or silhouette. I like to put a tiny incision in the armpit and one at the elbow. 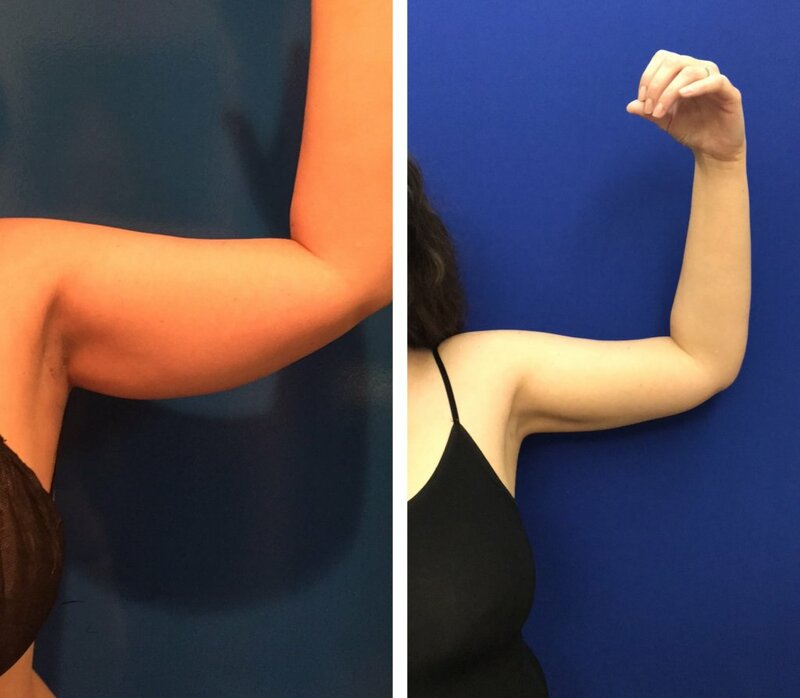 My goals for arm liposuction are not just to remove fat and tighten skin but to shape and sculpt the arm with advanced liposuction technologies and techniques. There are a few tricks I do to accomplish these goals. 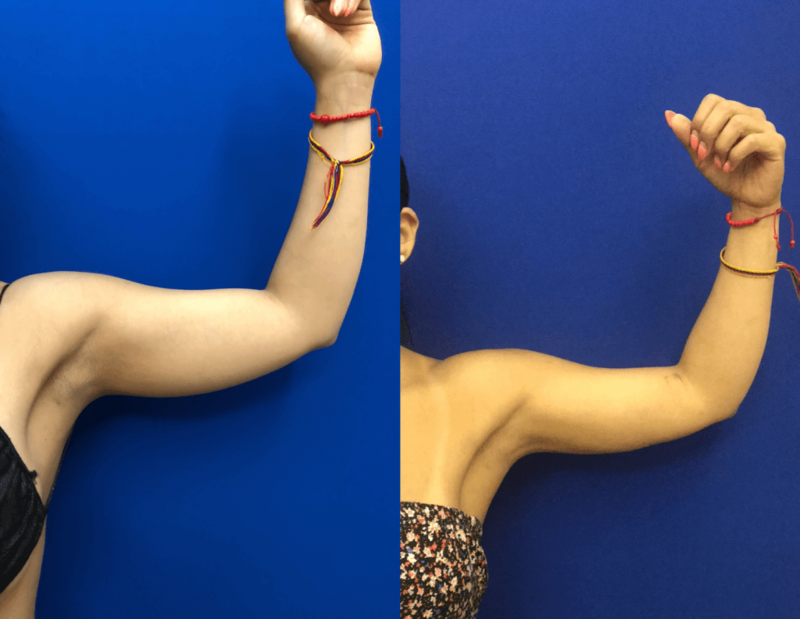 I use curved cannulas that I custom made to allow me to go from the armpit around the deltoid to show the definition between the deltoid and the bicep, which gives an athletic but aesthetic look. I also prefer Vaser technology over all other technology for its fat melting properties and connective tissue preserving capabilities. 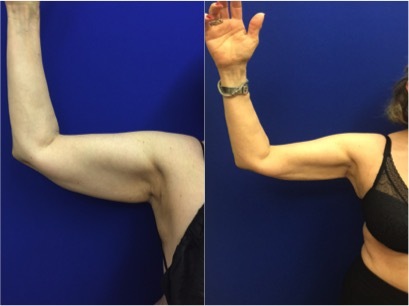 By melting the unwanted excess stubborn fat we are able to remove it easier and smoother. 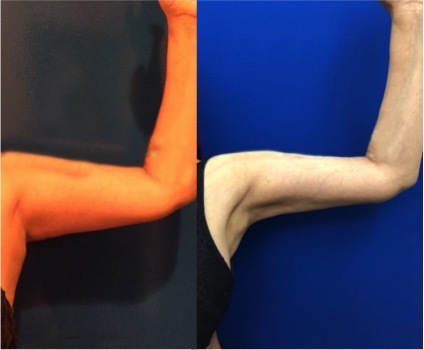 This means less trauma and less inflammation and downtime for the patient. 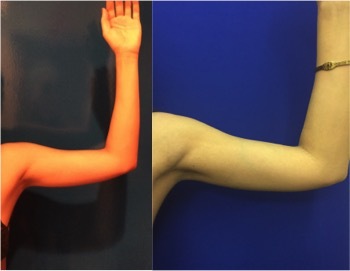 Many patients may be concerned about loose skin. In these situations we can add plasma technology to help tighten the skin. Plasma is the fourth state of matter. When energy is applied to solids they turn to liquids. When energy is applied to liquid they turn to gasses or vapor. If you put enough energy into gasses they turn into plasma. This unique type of energy allows us deliver heat to the deep layer of the causing contraction and collagen re organization. 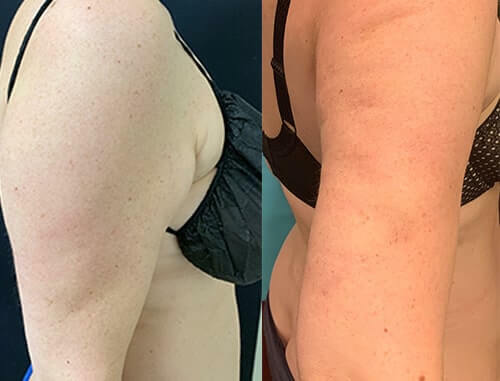 The unique aspect of plasma technology with ionized helium is that it does not cause burns in the skin, which allows unparalleled tissue tightening especially when combined with vaser liposuction. 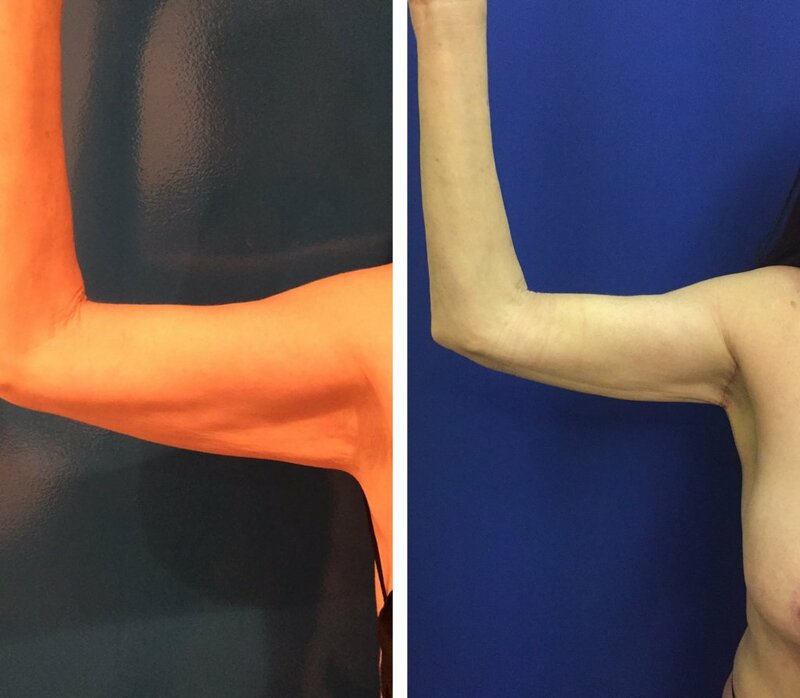 From time to time patients may have lost a lot of weight and have a significant amount of excess skin. 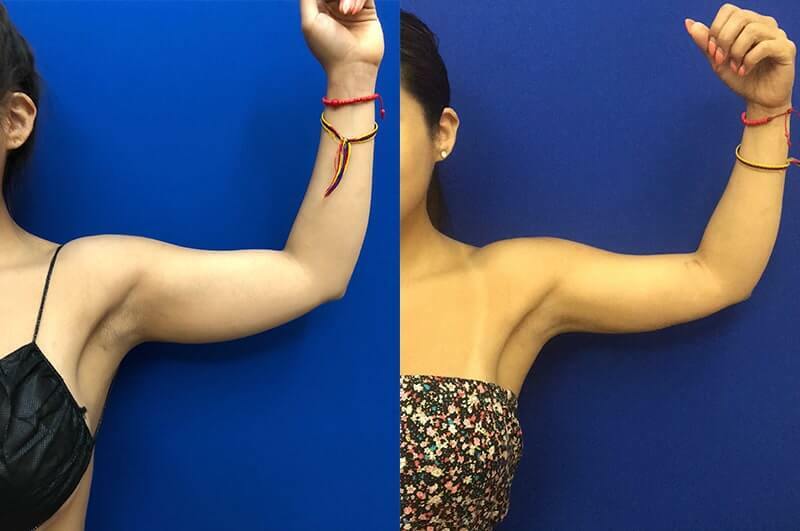 In these instances we discuss skin removal strategies which vary from mini skin removal in the armpit armlifts to full armlifts which require a long incision in the bicipital groove or middle aspect of the upper arm. 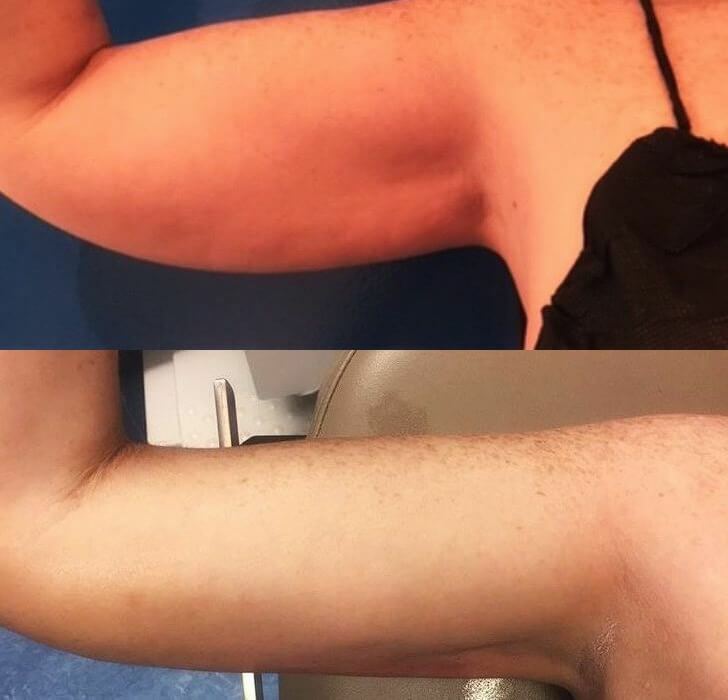 Regardless of your arm concerns we have the technology, techniques, and experience to give you the best results possible.